Passport Swapping: A New Idea For 21st Century Immigration? It is probably something that most people wish existed, but few believe can ever happen; the opportunity for 2 citizens, from different countries, to undertake legally recognized procedures and permanently exchange passports. In other words (and using Commonwealth countries as an example), a British citizen could meet with an Australian friend or family member, and if both wished to live and work in the other’s country, they could apply under legally recognized government channels to permanently switch passports. Of course, both would be subject to in-person interviews, criminal record checks, medical examinations and be liable for paying all applicable fees, but ultimately, once approved by their respective governments, each would receive a passport of their choosing (effectively completing a “passport swap”). Imagine it; are you from New Zealand and always wanted to live in Canada? Then find a Canadian who, coincidentally, has always wanted to live in New Zealand, and providing both of you have no criminal records, no medical issues and the means to find work and pay taxes, both of you could be living in the country of your choice within a year or two. 2.) There are no government procedures (anywhere in the world) that accommodate for such an idea. I admit, it does sound like absolute Utopian thinking. It’s the sort of idea that would work perfectly in the perfect world, but as we all know, we live in a world that is anything but perfect. Even in the most developed countries with superior immigration controls, there are those who abuse border procedures via marriage scams, fake passports and identity theft. Individuals could use a passport swap initiative to advance the movement of terrorists, or move their entire family upon receipt of their new passport for health and employment benefits not available to them in their native country. Of course, the majority of people wishing to benefit from “passport swapping” would have good intentions (they’d follow the rules, contribute to society, pay taxes, e.t.c), but abuse occurs at all levels of immigration protocols, and a passport swap initiative would certainly be no exception. And so, maybe the passport swap initiative is not such a great idea after all. Maybe it is too Utopian for the 21st century world we live in. But say there was a way passport swapping could be implemented and work effectively. Say there was a way that 2 people, who wanted to live in different countries, could do so without becoming a burden on society or the government. Would it be a concept worth pursuing? Would it be something the CFMO should endorse and campaign for like free movement within certain Commonwealth countries? Of course, this is not a subliminal message to indicate a future campaign from the CFMO, but a simple question; can a passport swap initiative work with the right procedures in place? For now, I will go as far as saying “maybe”. Yes, it does seem rather Utopian and unorthodox considering the rigid, inflexible world of immigration protocols and border controls, and maybe such an idea will never reach beyond the words of this website, but in a world that is constantly moving forward, the exchange of ideas holds an important place in society, and maybe it’s time to submit an idea regarding passport swapping to the realm of public debate, even if our respective immigration departments don’t think so. So what would the restrictions on such a policy be? After all, restrictions have to apply to combat the inevitable abuses that occur at all immigration levels; our freedom of movement campaign is a perfect example of that. The free movement of citizens between the UK, Canada, Australia and New Zealand is a tremendous idea, and one that has received widespread support from all 4 countries involved, but even such a concept requires restrictions, and you can read about them here. Firstly, and I’m sure I will receive a lot of criticism for this, but if a passport swap initiative were to be implemented, it should initially be applicable to the UK, Canada, Australia and New Zealand (the “CANZUK” area). Now I know many reading this post will be up in arms about that very statement. After all, there are hundreds of countries in the world which could be eligible for passport exchanges (about 200 in fact), but let me explain my reasoning. Limiting passport swapping to 4 countries is simplistic, easier to implement, and provides a stable foundation to build the initiative further in the future if required. The same applies to our free movement campaign. You can read our in-depth study as to why the UK, Canada, Australia and New Zealand are the only countries considered for free movement by selecting the highlighted link, but if you are looking for a more casual read, the study can be summed up by the following statement: all four countries are so economically and socially compatible, a free movement initiative is beyond likely to work. 5.) Crime levels in each of the four countries are exceptionally low in comparison to developing nations, so individuals exchanging passports are a lower risk for committing criminal offences. There are many more reasons in addition to these, but the aforementioned points are important in reducing the risks involved by operating a passport exchange program. Similar lifestyles and health standards in the CANZUK area eliminate the risk of individuals exchanging passports to solely access quality healthcare systems that wouldn’t be available in developing countries, while similar crime levels in the CANZUK area reduce the risk of individuals exchanging passports to solely access black markets and criminal opportunities abroad. Cultural and linguistic elements also provide additional benefits to the program, as for example, Australian and British citizens exchanging passports would allow for greater assimilation and economic integration in each other’s countries as opposed to Australian and Nigerian citizens, or British and Pakistani citizens. In other words, citizens of the CANZUK area could exchange passports with relatively little to no effect on the educational, criminal, social, cultural, linguistic or economic standing of each other’s countries. Of course, this is not to say that a passport exchange program would only ever apply to the CANZUK area, but it certainly provides the basis for something that has a higher chance of success if implemented. Secondly, security measures would also need to be introduced to ensure individuals exchange passports in good faith. With our news channels constantly broadcasting frequent terrorist attacks across the world, it is no surprise that many would utilize a passport exchange program to encourage the flow of terrorism across borders. In addition, criminal organisations reside across the CANZUK area, and it would be folly to allow any form of criminal or terrorist activity to move across the world via a passport exchange application. As such, it would be necessary to implement a rigorous form of screening for all applicants to the program, including in-person interviews, police and criminal record checks, and establishing intentions for wishing to relocate within the CANZUK area. Of course, such diligence takes time and could add additional months to the application process, but ultimately, I’m sure many would agree that this is a necessary step when implementing policies regarding passports. Finally, medical admissibility would also be required for an applicant to be accepted onto the program. As is the case with numerous permanent residency protocols across the world, countries require new residents to prove that they have no infectious diseases which could affect the health and safety of its citizens, and that any pre-existing medical conditions will not be an excessive burden on that country’s healthcare system. A solution to this would be requiring all applicants for a passport exchange program to undertake an immigration medical examination. Of course, there are probably numerous other procedures that would need to be implemented for such an initiative to work, but these three policies are the main issues that come to mind. 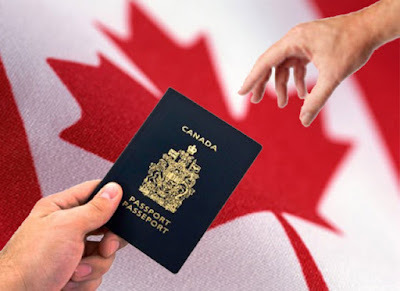 Providing individuals, who wish to swap passports with other CANZUK citizens, can meet all the eligibility requirements and wish to exchange passports in good faith, is it out of the question that they should be allowed to do so? After all, the European Union member countries allow 500 million citizens to live and work freely, wherever they please, without the use of passports. 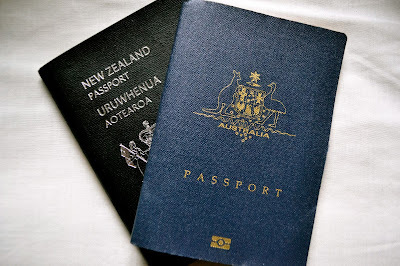 Is it therefore unreasonable to suggest that approximately 125 million people across the CANZUK area should be allowed to exchange passports and enjoy the same benefits? 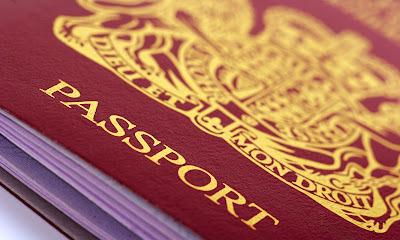 Of course, if our proposals for free movement between the UK, Canada, Australia and New Zealand are implemented, the need for a passport exchange program would effectively be nullified, as individuals could live and work freely in the country of their choice and, if they wished, apply for citizenship after an appropriate amount of time has passed. Our campaign has gathered phenomenal support across the world and is gaining momentum every day, but if (for argument sake) the free movement campaign is never realized by our respective parliaments (which, to be honest, seems unlikely considering the continuing media attention and rapidly growing public support), could a passport exchange imitative be the next best alternative? Let’s remind ourselves that this is more a topic for debate rather than campaign, as passports are handed out to non-native nationals like gold dust in the 21st century, especially with growing safety concerns and national security measures. However, the principle of a passport exchange is nevertheless intriguing; 2 individuals who wish to live elsewhere in the world can do so by simply agreeing to exchange passports and participate in governmental protocols to finalise the process. Neither country involved gains (or loses) a citizen, and neither country is burdened by social, economic, cultural or linguistic issues by applicants who join the program. Effectively, any country involved exchanges one citizen who doesn’t want to reside there, with another citizen who is happy to immigrate, assimilate, contribute and generally be a part of said country. Ultimately, this is either the product of Utopian, libertarian thinking, or an ideal that is fit for a modern, changing world in the 21st century. If the latter, measures would need to be implemented to ensure safety and security for all citizens involved, but either way, it is certainly an idea that creates interesting discussion.